Samsung Galaxy Note 9 was released yesterday, compared to Galaxy Note 8, its improvement is not big, 6.4-inch curved screen is very amazing, the screen accounted for up to 90%, which means its screen is fragile, estimated from 10cm high position falling, the screen may be broken, so you should consider buy a samsung galaxy note 9 case, the following is the best wallet case we have found so far. 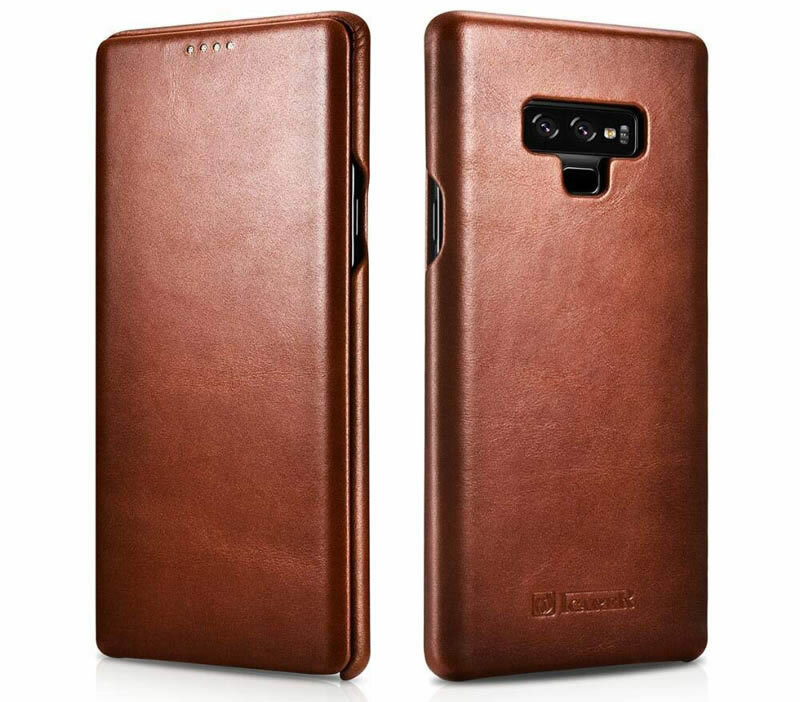 This CaseMe leather wallet case is perfectly for the Samsung Galaxy Note 9, and the detachable design combines the big wallet with the phone case. 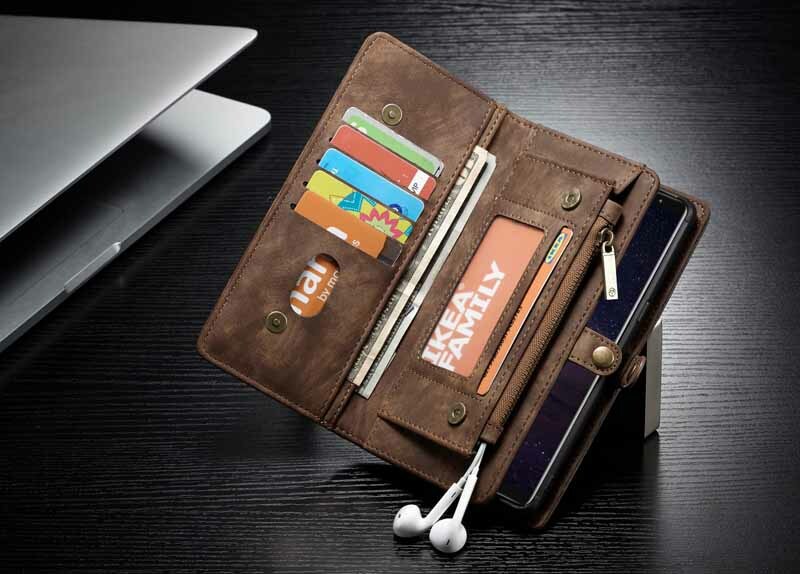 This zip wallet has multiple compartments for credit cards, cash, coins, headphones and more. It is a real wallet! The magnetic back case is made of high-quality leather with magnets and polycarbonate that puts all your items in one place, providing excellent scratch resistance, fingerprints and daily wear protection. It comes with a wrist strap that is very convenient to carry. If you are looking for a genuine leather case? Take a look at this case. There is a precise incision on the back of the camera, a fingerprint sensor on the back, and a bottom port on the bottom. The curved edge design, which fits your samsung note 9, also provides great protection against impacts and drops on the corners and edges. There is also a microfiber lining to protect your Note 9 screen. CaseMe has launched a number of series, we are here to introduce the 008 series, it also has 007 series (007 Samsung Galaxy Note 9 Wallet Case), 011 series (011 Samsung Galaxy Note 9 Wallet Case), 006 series, 003 series, etc.